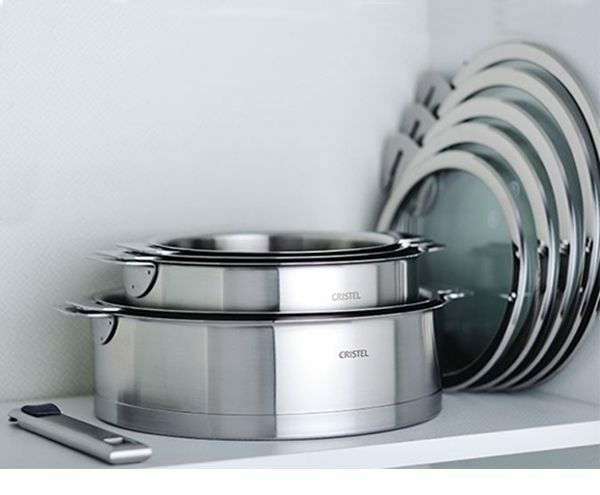 The Cristel system allows you to remove the handles for storage and to put them in the dishwasher. 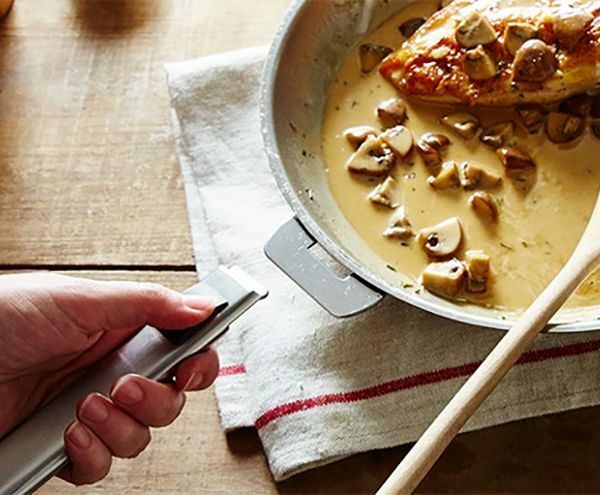 Because the handles are interchangeable you can make a Sauté Pan a Serving Casserole or store it without handles to maximize space. 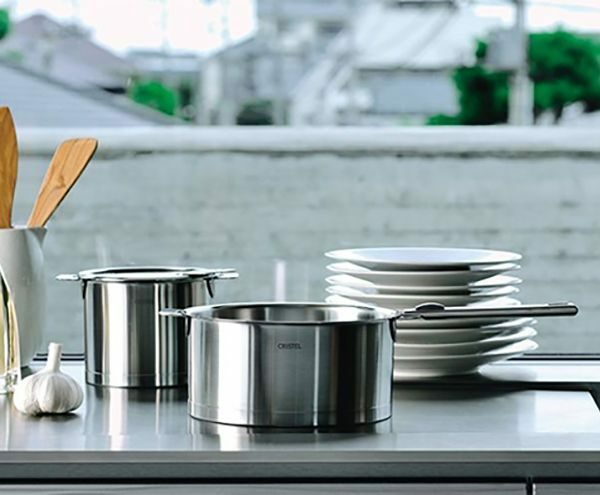 An entire set of cookware can be stored in a single drawer, a real plus for urban dwellers short on space! 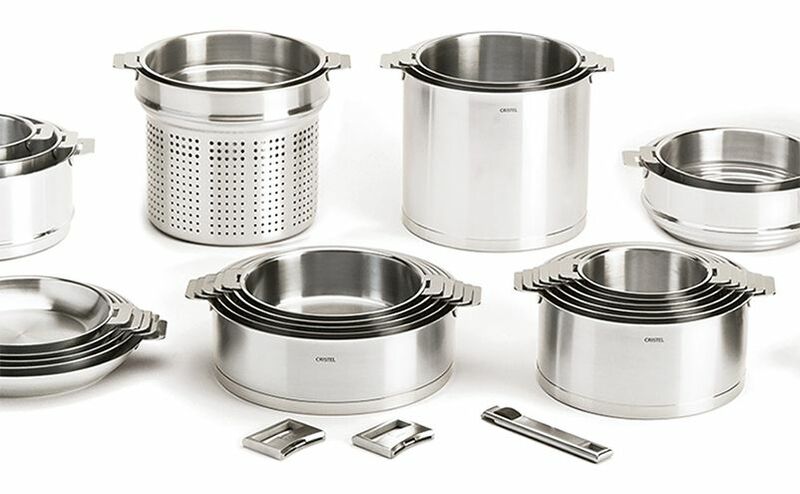 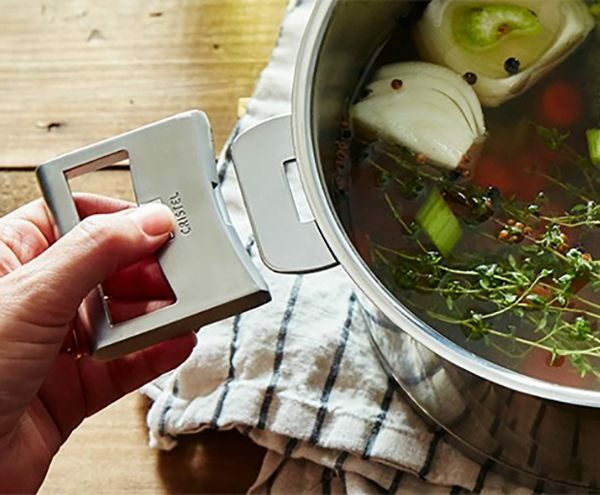 We carry a range of Cristel's Strate Removeable Handle Cookware, including open stock and sets, all proudly made in France.